Bill's OBX Beach Life: Goodbye 2011, Welcome 2012! 2011 is a wrap and with the end of the year we now can both look back on what we experienced "last year" and also look forward to expectations for the new year. 2011 was likely my "least" active windsurfing year, and I basically come to this conclusion per a single factor (or make that two) "little dudes!" As a relatively new dad, once we expanded the family to two children, those half day treks to Hatteras wave spots became much less frequent. This due to a combination of both family commitment to remain home along with sheer afternoon exhaustion due to extremely early wake up calls (often 5:30am) and trying to maintain the "pre-children" late evening bedtimes. All in all, there were quite a few windy afternoons when I simply was too tired to go (one fond memory this Fall was actually going south for a wave sesh, but as the wind diminished and the waves slacked, I actually fell asleep for a "board bag" nap on the beach next to my truck! One of the best "beach naps" I ever had!). Along with a "busy" childhood rearing year, my windsurfing experience was also cut by the impact of H Irene to Hatteras Island. The timing of the storm's impact and the shut down of Hatteras throughout the prime wave month of Sept/early Oct left those locked north of Oregon Inlet on the "sidelines" especially during some of the strong NE days we had where the south side is the call. Though fortunately, we did experience a few sessions at Coquina Beach following Irene with Labor Day likely my best wave sesh of the year. Though I was primarily solo for the session (the local (Nags Head) kite crew did join me but no other windsurfers were there), I had the best wave rides of the year powered on the new Quatro Twin 92, and 5.3m MS Legend. Sunshine, perfect air and water temps, and a perfect long period wave summed that day. As for other days, 2011 was marked by spending a ton of time light air wave riding on the AHD Sealion. Actually, I spent more time on the SeaLion in 2011 enjoying light air wave days then any other past year (really did not have a light air option in the past!). The SeaLion also worked well for catching sessions close to home in the ocean directly off Nags Head town proper. The sand bars were quite nice this year due to "beach nourishment" and I caught many fun sessions riding waves in light wind on the Lion. The SeaLion was my "saving grace" for 2011 since if I did not have the board, I would have experienced much less time with a sail in hand. Likely, the biggest let down for 2011 was cancellation of Hatteras Wave Jam, Stop 4 for the 2011 American Windsurfing Tour. High hopes and expectations were there for the Hatteras Tour visit, and we were quite excited to host many of the world's best wavesailors. Unfortunately, Irene spoiled the party in 2011; however, with 2012 the stage is reset for the Jam to return. 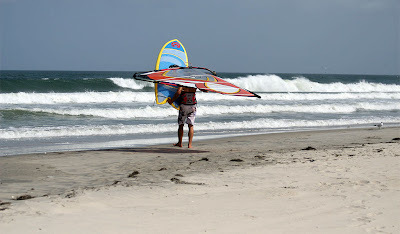 For 2012, the American Windsurfing Tour is ON, and Hatteras is again Stop 4 for the Tour. September 12 - 15, 2012 are the dates for Hatteras Wave Jam 2012. 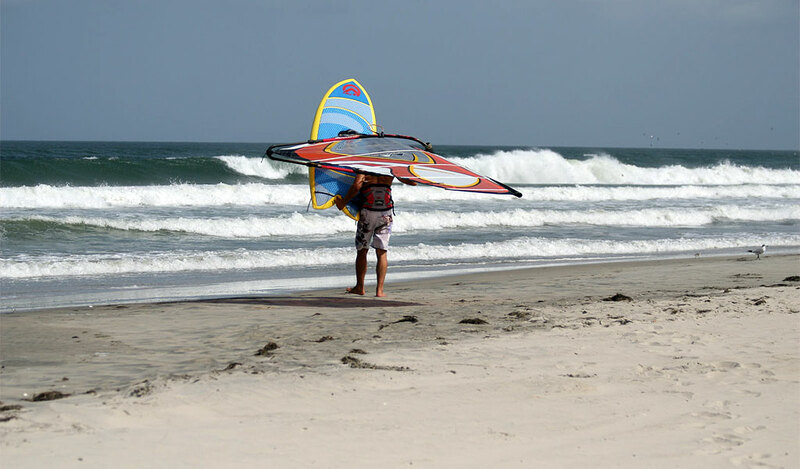 For 2012, the Tour will be even bigger, offer more for participants and spectators, and really spotlight high action adrenaline pumping windsurfing in US coastal surf/wind conditions. Prize money, live web casts, killer gatherings/parties, and elite world class participation will all be here that week coming up in Sept! I definitely plan to bump up my 2012 windsurfing game in preparation for the Tour stop, and hopefully with a wishful "finger cross" will be able to perhaps make an additional Tour stop..., Baja?! Onward 2012 and looking forward to see you on the water catching a killer wave here on the OBX! 2011 had its moments, but heres to looking forward to 2012. Yea George, and congrats for really setting the bar up there in Delaware by reinvigorating windsurfing in your area. Bill! That's an awesome shot at Coquina. You are right about that spot! It looks magical. Best to you and your family. Happy New Year! Forget staying up late. You've been there and done that. Meanwhile every wave is different! Have a great year. Tell us more about your AHD Sea Lion board. PERHAPS: the following: Size, liters, and why you like it, and what conditions its most suitable in. I'm owner of 1996 AHD board, and we don't see too many AHD boards in USA anymore. 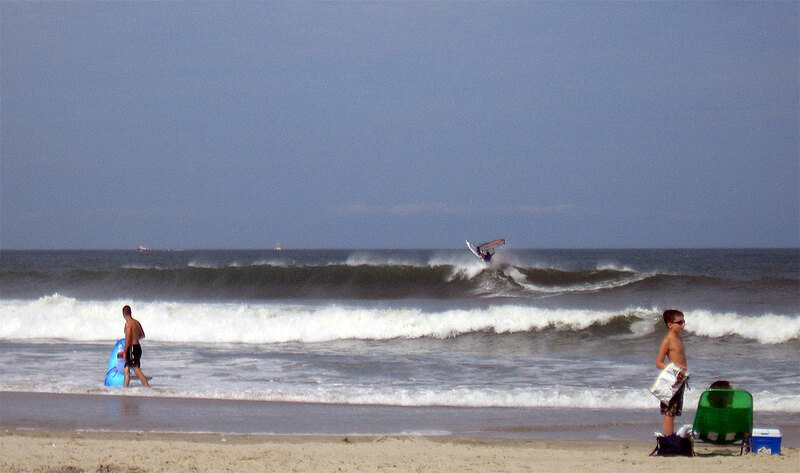 During 2011, I had a TON of sessions riding the Sealion in Hatteras waters. Luckily, I have captured most of the info you seek here in this blog. In the right hand column below the calendar, there is a search box. Try using the search box with keywords for "Sealion" and a number of posts and associated commentary/photos will be returned. Likely, I will have more with 2012, but if you seek some good info now from the "experience" of riding the Sealion, definitely check out my posts from 2011! Definitely some FUN times riding summer surf with the SeaLion! Lost Gem from Hatteras WaveFest 2008!